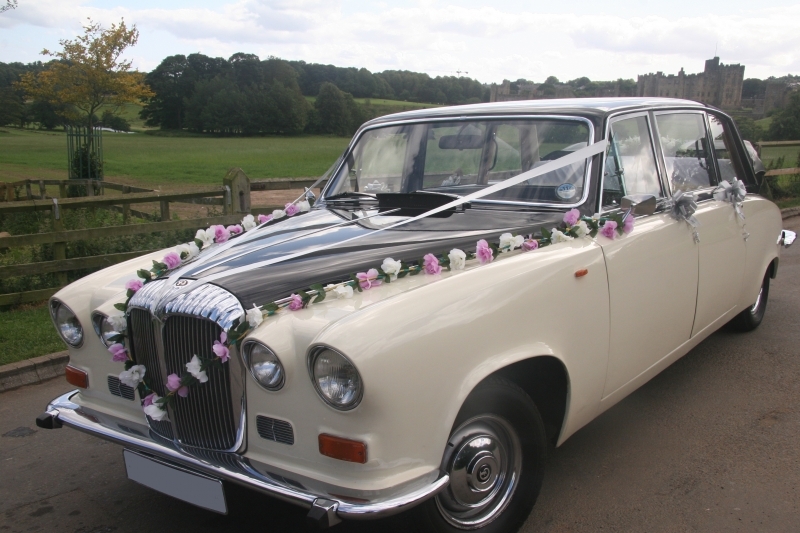 Alnwick Wedding Cars in Northumberland are proud to offer this Daimler DS 420 Limousine which was built in 1984 and offers seven-seat luxury with a 4.235 litre Jaguar petrol engine and automatic gearbox. 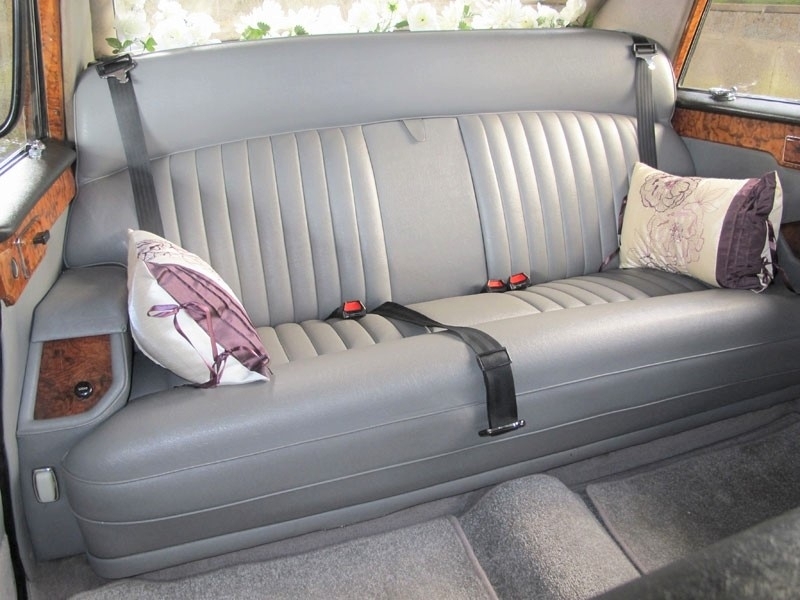 These cars were the favourite means of transport for the Queen Mother who owned six of them during her time. They were also favoured by other Royal families around the world. 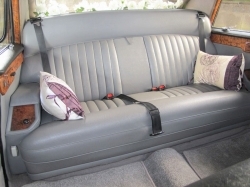 In ebony and ivory bodywork with grey hide upholstery and wood trim to complement the Rolls Royce as the Bridesmaids car or as the Bridal car, especially when you have a larger dress. Silk flowers line the rear parcel shelf and matching or contrasting ribbons and bows can be added to complement your colour scheme for the day. 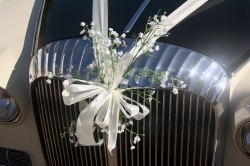 All our Daimlers seat up to seven persons and offer the ideal solution to transporting the Mother of the Bride and Bridesmaids and then the Bride’s Parents and Bridesmaids to the reception. 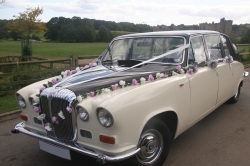 Our Daimler seats up to seven people and offers the ideal solution to transporting the Mother of the Bride and Bridesmaids to the ceremony and then the Bride’s Parents and Bridesmaids to the reception. Call today for more information.